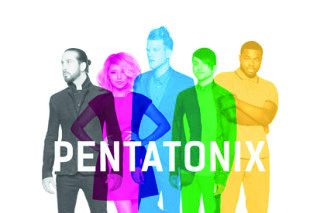 Acapella group Pentatonix proves they are more than a snappy cover band in their new, self-titled album, "Pentatonix." Their new album meets the high expectations and doesn't fail to impress. Pentatonix proves they are more than a snappy cover band in their new, self-titled album “Pentatonix” (2015). Their greatly anticipated album dropped on iTunes Oct. 16 after a month of released singles and videos. This time around, the acappella group brings a fresh wave of pop-inspired tracks — a stray from the usual covers of popular songs and favorite Christmas tracks. With original new songs like “Sing,” “Na Na Na” and “Water,” the famous five show us they have more up their sleeves than expected. Incorporating beat-boxing, clapping and various other styles, Pentatonix flows exceptionally well from one song to the next, bringing something new to the popular music scene. While none of the songs seem to be too introspective, they still carry a fresh, creative feel that the quintet usually brings to covers of songs. And covers are still very prominent on the album — the current hit “Cheerleader” by OMI among them. Many have criticized the group’s new look, claiming there is a defined front-man, Scott Hoying. After listening to the` album and many of the songs a few times through, I had trouble agreeing with this assertion. The group equally spreads their talent over the original tracks and adds a unique spin to the selected covers. Some of the songs can sound over-produced at times, leaving you overwhelmed by all that is happening on the record. However, this minor flaw does not stand out among the creatively inspired album. Pentatonix has finally taken control of their creative abilities, dropped the gimick and brought us their first true album. They have finally taken the helm and released some of their own music — I expect to see even more from the quintet in the near future. The 17 song set-list will leave you begging for more and wanting to revisit this album countless times again. Zachary McIntyre is a sophomore film production major. This review reflects the opinion of the writer only.